On Tuesday night President Trump declared education to be “the civil rights issue of our time.” Then he called on Congress to pass legislation that would strip vital resources from public schools that millions of black and brown children attend. In the weeks leading up to the speech, he announced a ban on Muslims entering the country. He rescinded federal guidance on the rights of LGBTQ students and on discrimination in school discipline. This afternoon the U.S. Senate confirmed Betsy DeVos as our new Secretary of Education. Last night, over a dozen Senators spoke at a Washington, D.C. rally, thanking everyone for the unprecedented outpouring of concern over this confirmation—concern that swung two Republican votes and forced the Vice President to break a tie. Our voices were heard. We need 1 more vote to defeat DeVos - with your help! 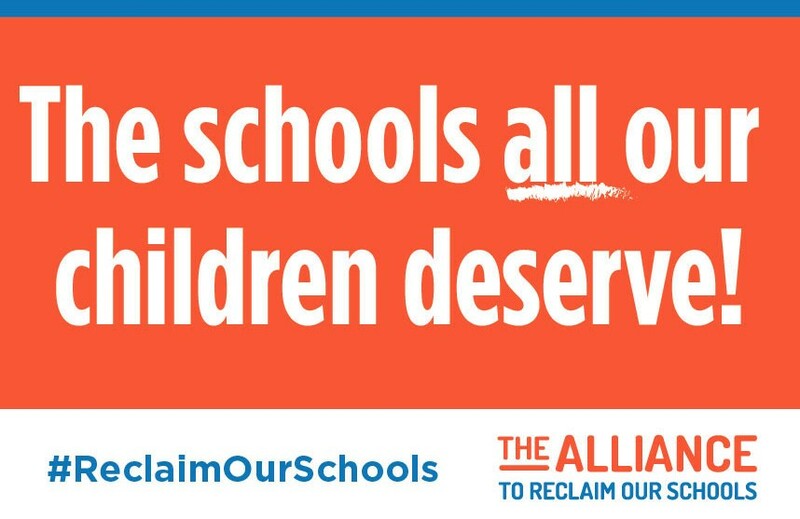 The Alliance to Reclaim Our Schools (AROS) stands for fully funded public schools that provide a quality education to every child. We will not cooperate with Donald Trump’s stated plans to divert billions of public dollars to vouchers and charter schools. We will not cooperate with his hateful rhetoric and bullying of immigrant children, LGBT students, Muslims and others. We oppose the confirmation of billionaire Betsy DeVos as Secretary of Education. We demand safe and nurturing schools where children can learn without being frightened or harassed. We will work for policies and practices that strengthen our public schools, not dismantle them. “A lot of my friends are disabled, a lot of my friends are immigrants, a lot of my friends are undocumented. This is scary. Everyone was just so distraught, and we all want to do something.” This quote, from Hebh Jamal, a student at Beacon High School in New York City, pretty much sums up the emotions. But students there, and around the country have done more than speak up. They’ve taken their fear to the streets in the wake of the November 8th elections. 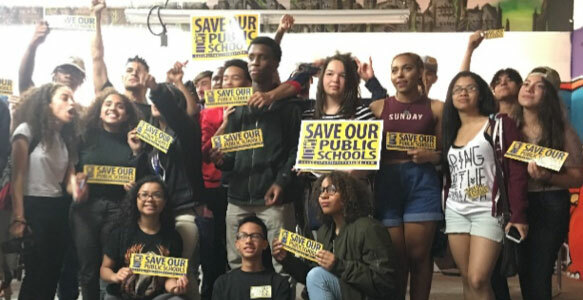 The defeat of two high-profile charter initiatives at the ballot box on Tuesday signals a growing public concern about the impacts, and rapid proliferation of charter schools across the country. Have you signed the Color of Change petition supporting the new AROS Platform, Education Justice is Racial Justice? If not, take 2 minutes right now to sign the petition, then share it on your Facebook page and on Twitter. Next, copy the link to the petition, plug it into an email, and email it to 30 of your personal friends and colleagues, asking them to sign. AROS is setting a high bar – we want to signal the breadth of the country’s demand for real investment for education and racial justice. Be one of the people who signs TODAY!